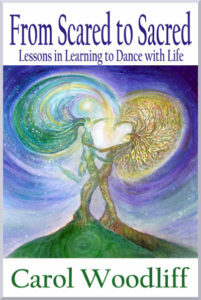 I like to think of life as a dance where our powerful eternal spirits and human selves meet. Are you and your highest self doing the cha cha cha, the rumba, the jive, disco, a waltz …. or have you left your spirit partner and gone off to dance by yourself? It happens to us all from time to time. We forget we have a spiritual side and try to do everything from just our will and ego. This can be exhausting. There are times we think we have this dance called life nailed down and then the music changes, life throws a curve and everything we thought we knew seems not so certain. Old traumas resurface, new challenges take us to our knees and we feel disconnected from source and our highest self. There are times when we want to be strong and we realize how incredibly fragile and vulnerable we are. Yet there are always whispers from that highest energy saying “If you let me lead, I’ll help you through.” But in the turmoil we often can’t hear the whispers or when we hear them we don’t believe them. I love writing about this dance between our spirits and our humanness. How we move through those challenges. How we live love and find the beauty not only in the easy moments but in our most challenging. How we fully express individuality and how we come together as community to build something bigger than any one person. How we each become the place where heaven and earth meet. I know our higher selves are always ready to welcome us back to the dance. 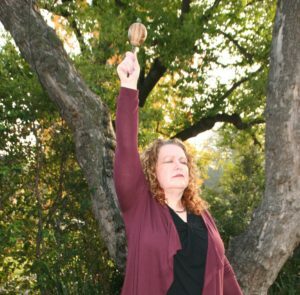 I help healers and creatives reconnect with their spirits, work through life challenges and claim their passions and purpose. 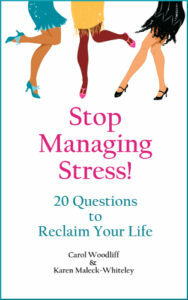 Carol is the author of From Scared to Sacred and Stop Managing Stress! Both books are available on Amazon and at other fine online retailers. Reclaiming heart-based connection to others and the earth.